Sai Gon Giai Phong newspaper handed over the 2009 Golden Ball, Silver Ball and Bronze Ball titles to the winners in Ho Chi Minh City Monday. A gala night was held at the Opera House for the event. 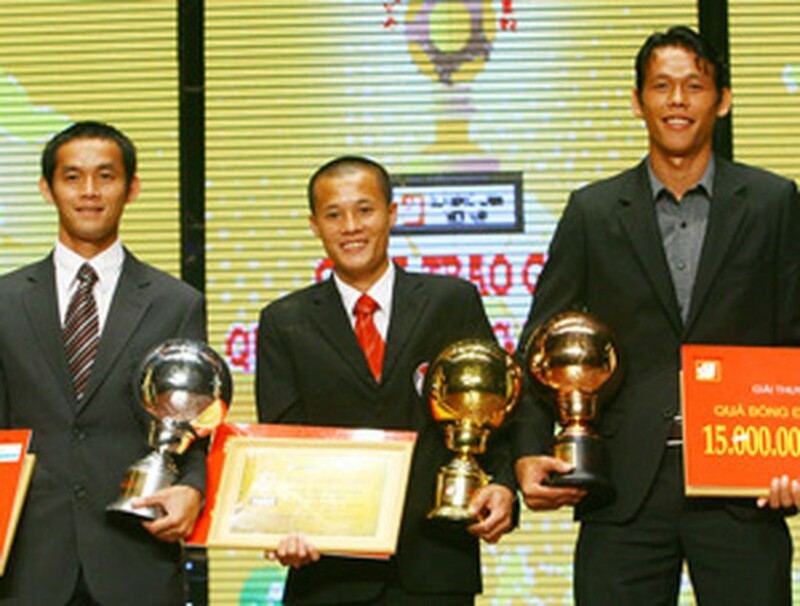 Hanoi ACB Club’s 22-year-old striker Pham Thanh Luong, U-23 Vietnam captain during the 2009 Southeast Asian Games in Laos, received the Golden Ball. The Silver Ball went to Vietnam and Becamex Binh Duong winger Nguyen Vu Phong. Meanwhile, U-23 Vietnam and Dong Thap goalkeeper Bui Tan Truong received the Bronze Ball. The Best Young Player award went to Nguyen Trong Hoang from Song Lam-Nghe An Club, and the Best Foreign Player title belonged to SHB Danang Club’s Argentine striker Gaston Melo. Sai Gon Giai Phong newspaper has annually organized voting for the best football players in Vietnam since 1995. In the women’s event Doan Thi Kim Chi of Ho Chi Minh City earned the 2009 Golden Ball. Goalkeeper Dang Thi Kieu Trinh, also of Ho Chi Minh City, was the Silver Ball winner and Hanoi defender Dao Thi Mien secured the Bronze Ball. The three ladies are all members of the women’s national squad who are currently in China’s Chengdu to compete in the 2010 Asian Championship finals. They could not attend the award presentation gala.